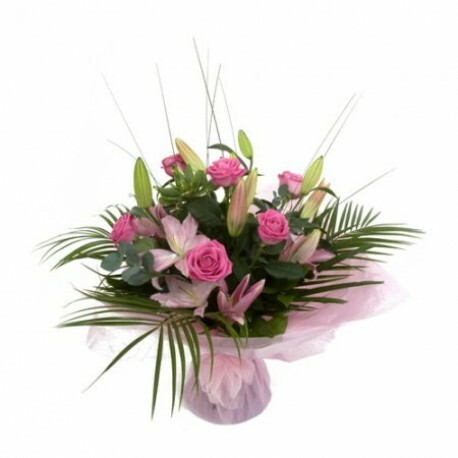 A stunning handtied arrangement in bold pinks alongside lush green foliage. This item is available for delivery by Chatswood Hills Florist in Springwood. * Price includes local delivery, please check delivery tab for more details. Lily may arrive in bud form.